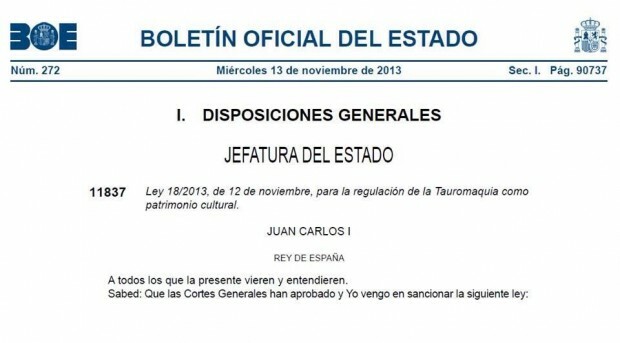 Law 18/2013 of November 12th for the regulation of bullfighting established as bullfightihg “The amount of knowledge and artistical, creative and productive activities, including breeding and selection of the fighting bull that come togetgher in modern bullfighting and the art of bullfighting itself,, a relevant expression of traditional culture of the Spanish people. By extension, is also included in the Bullfightting concept any cultural manifestation linked to it”. Hence, in the terms established by this definition, fighting bull breeding is a part of the cultural heritage worthy of protection throughout the territory according to applicable law and international treates on the subject. Fighting bull breeders are professionals who dedicate their effort to the breeding of an animal which meets the conditions every breeder deems critical for their events. Fighting bull breeders are also bravery breeders because they´ve been shaping and creating a breed adapted to their attending crowds tastes. 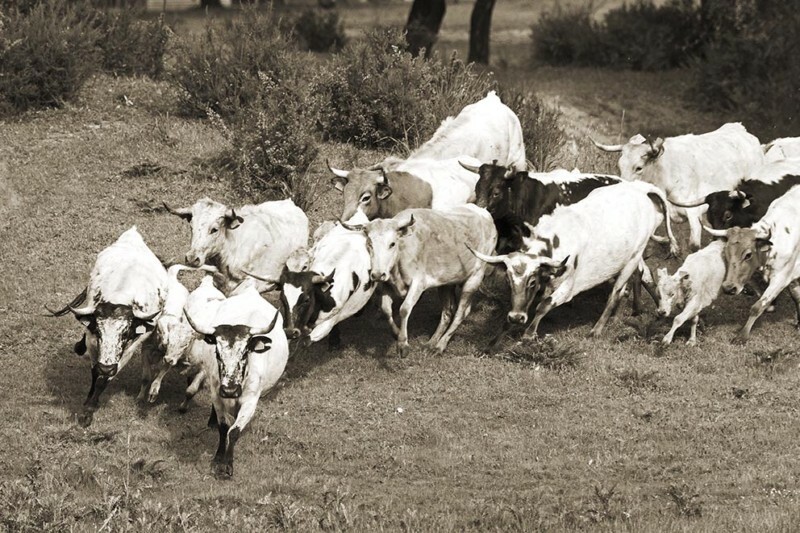 Each breeders brings its own personal mark based on the personality of the bulls they breed. The fighting bull breed is the only one which is carried out following a behavioural criteria insted of a production one. 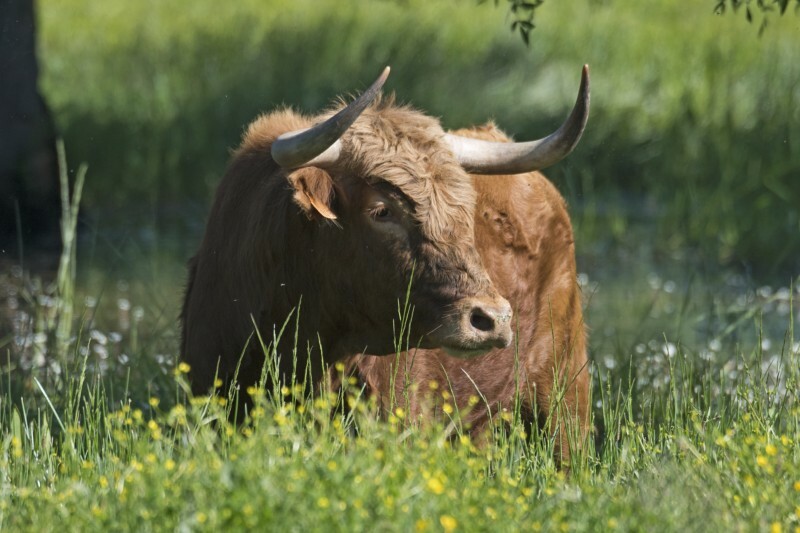 The bull as a source of inspiration for artistic manifestations. Old uros, forebearers of the present day fighting bull are preserved at the Altamira Caves from the Paleolithic era. In Classic Ancient times, paintings at the Cnosos palace in Crete and all over the Mediterranean Sea,about the Minotaur, the Bulls of Greece and the Works of Heracles, which mean the origin of Taurine Mythology. In the 18th Century, Francisco de Goya portraits the evolution of modern bullfighting. In the 19th century, painters like Fortuny and Manet portray the beauty of the fighting bull much like Sorolla, Delacroix and Van Gogh. In the 20th century, several artists use the fighting bull as inspiration for their paintings. Pablo Picasso and his work “Gernica”. Other painters like Ignacio Zuloaga, Gutiérrez Solana or even foreigners like Francis Bacon, the frenchman André Masson or even the Colombian Botero. In sculpting, Benillure´s bronze statues as well as Botero and Picasso stand out. 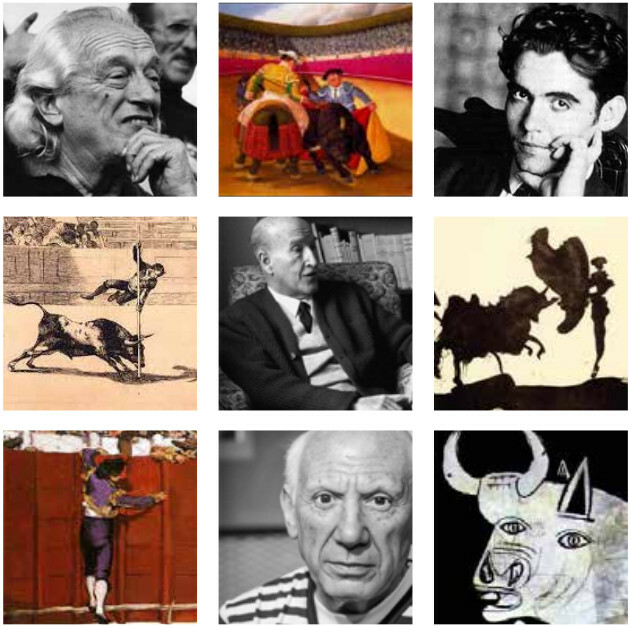 Also, many literary works are based on the fighting bull or in bullfighting events as an expression of their art; Poets like Gerardo Diego, Rafael Alberti, Manuel Machado, Federico García Lorca…Used the fighting bull as a source of inspiration. Authors like Vicente Aleixandre (“Bull”. 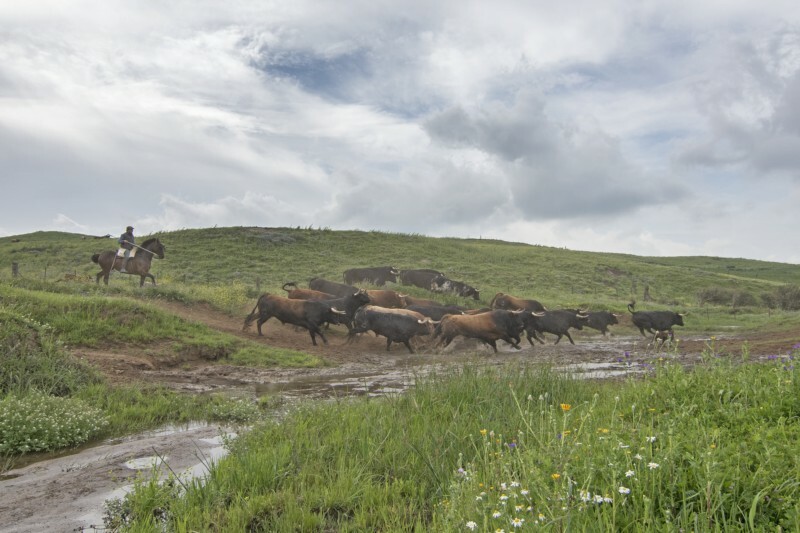 “The mistery of the bull´s death”), Rafael Duvos (The five-year-old bull) and Fernando Villalón left an imprint of the significance of the bull in their work. Within the context of fighting bull breeding, it can be said that it generates its own accurate lexicon. Hundreds of originary terms can be used to define an animal. To define parameters of selection, to describe behaviours, etc.